Being tactical is not just an adjective, it is a lifestyle. Having the mindset to calmly make life-or-death decisions is tough. Having to worry about your gear while this is happening is even tougher. As an experienced tactical law enforcement officer I know the importance of having the right gear when things get hairy. 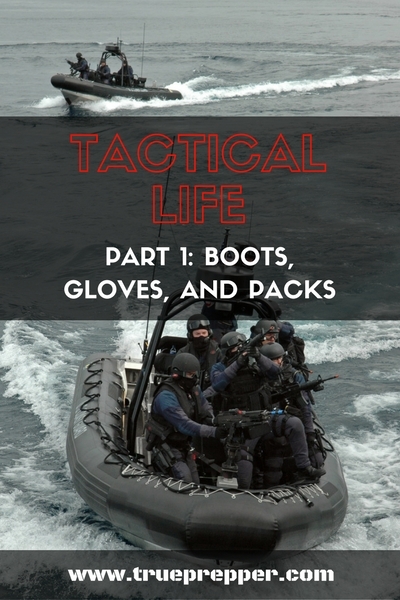 Yes, tactical gear was designed for soldiers and law enforcement. There is a reason, however, why they sell most of the same gear to the public. When the fight comes to your doorstep you have to be ready. The ultimate prepper is ready for any situation, and the way the world is going, the threat of civil unrest or flat out anarchy is real. Sure, the gray man concept has it’s merits, but if there is a full collapse you won’t want to blend in with the sheep anymore- you will want to be the wolf! This gear is the creme of the crop and equips you for a large range of threats and situations. When the chaos starts, the tactical prepper will be prepared; the tactical prepper will survive. I picked the brains of my colleagues to come to a consensus on what we all preferred and recommend. 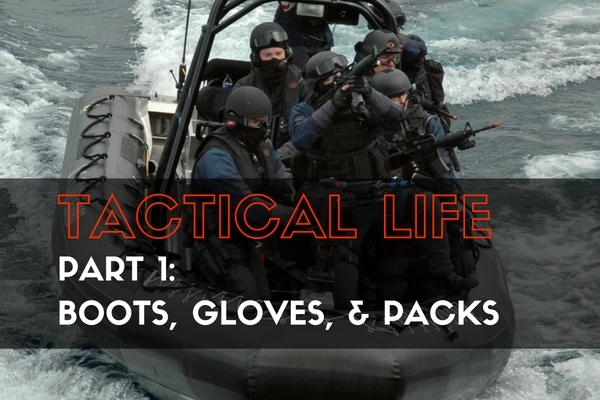 As real-life tactical operators we are equipped to share real knowledge on how gear performs in the field. Each piece of gear has been tested by experienced maritime security personnel who have trained and operated with SWAT, the FBI, and the Secret Service. For each type of gear, I am going to portray two of our top picks to help get you from the Average Joe to the go-to-guy. For around $120 you can own a pair of lightweight, water resistant boots that you will fall in love with. With a thick rubber sole and 8″ laced shaft these military-made beasts will perform over and over again. Perfect for fishing, hiking, or getting out-of-dodge. These are flexible boots designed for athletes. These boots are perfect for the survival situation when speed is needed without sacrificing durability. Used by first-responders to save lives, this footwear is a must have for the outdoorsy prepper. These are equipped with Kevlar knuckles and leather palms so your hands will be able to take a beating. They are also great for target shooting, riding dirt bikes, or riding ATVs. Wiley-X is well known as a solid brand for military and law enforcement personnel. These gloves have synthetic leather palms and custom molded knuckle protection to perform in any heavy situation. The ventilated fingers will keep you dry in stressful situations. Pockets galore, MOLLE compatible, and fully customizable. Durable and comfortable, this backpack will meet all of your prepping needs. It comes with 24 ounce Splash Bang aluminum water bottle that is coated to prevent build up of bacteria and food particles. Built in hydration pack and holds 42 Liters of cargo. This bag is huge! It has sufficient space to fit MRE’s, ammo, First Aid kits, and anything else you might need to “bug out”. These are just a few gear items my team prefers, there will be plenty more to come. Keep an eye out for more tactical lists on TruePrepper as I continue my quest to share what the best of the best wear. All of the gear comes in various colors other than black, and various sizes. Let me know in the comments what you think of my selections for boots, gloves, and bags and what you guys want to see in the future. Have a safe start to the new year. I am an expert in all things nautical and an avid urban prepper. I am currently serving in the United States Coast Guard saving lives and protecting high value assets. I have worked all over the U.S. and provide a unique and fresh perspective to TruePrepper. I am a certified CPR and first aid instructor as well as a certified lifeguard. I am a fitness freak and sports enthusiast. As a Federal law enforcement officer I am proficient at multiple weapon platforms and de-escalation techniques.